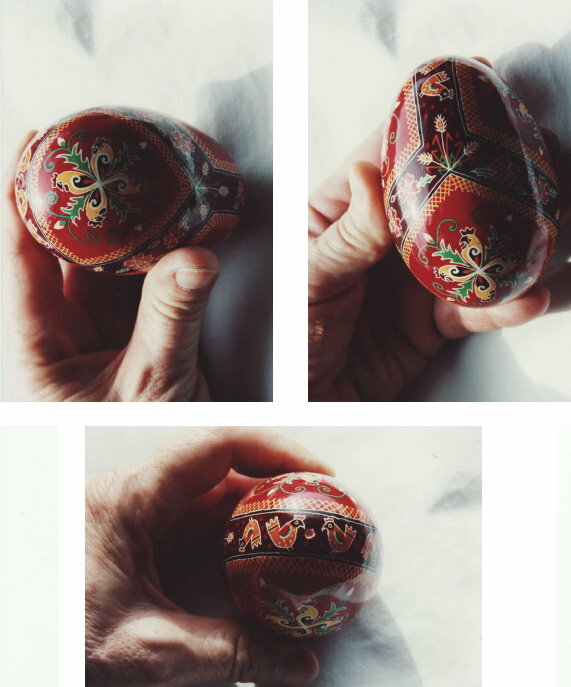 Renata Bernal makes use of very traditional Ukrainian Easter egg symbolism in many of her eggs. According to Ukrainian tradition, each symbol has a very specific meaning. The Rooster is considered a talisman of coming good fortune. In ancient times, it was related to the coming of the sun. It also denotes exultation and vigilance. As a symbol of masculinity, it predicts a rich married life with the blessing of many children.